If we as Americans would recycle just 30% of all our municipal waste (Come on, we can do WAY better than that! ), we'd save the energy equivalent of 11.9 billion gallons of gas. That’s the greenhouse gas equivalent of taking 25 million cars off the road. Are you a beginner recycler? Let's start by finding out where you can recycle. Does your city offer curbside service? Google your city and recycling to find out what's available. Call and set it up today! Curbside is definitely the easiest way to make sure your household is consistently recycling. Not available where you are? Most cities have drop-off locations, check them out and make a monthly habit of taking your goodies in. Some spots even pay by the pound...jackpot for the kids piggy banks. Bring a friend and make a funday out of it. A habitual recycler? Good for you!! What you're doing is important and worth the effort! 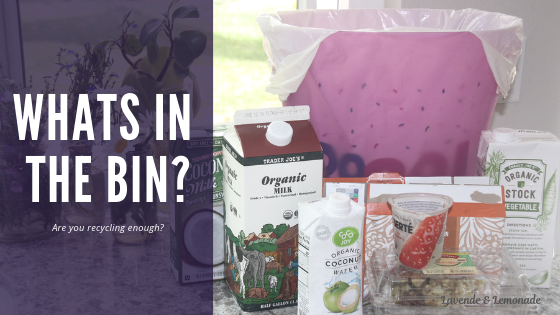 Now that recycling is part of your routine, a good goal would be to take a look at what you're putting into the bins, how you're prepping it, and making sure you're optimized. Actually doing the recycling is step one. At our house we're lucky to have the convenience of curbside service, which I very highly recommend to new recyclers because of how easy it makes the habit. 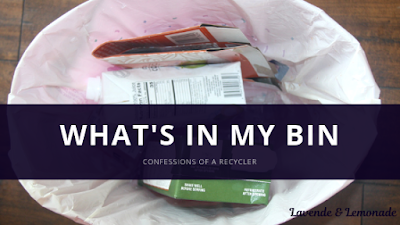 We keep an extra trash can under the sink, so every item we toss goes either to the recyclers or the landfill (or the countertop bowl for our compost bin!). On the go, I like to carry a big purse so I can carry empties until I find a place to drop them into a recycling bin. It sometimes feels like extra work, but then I think of how many thousands of years my one little bottle will take to disintegrate in a landfill and remember how important this really is for us to do. Once we're avid recyclers we can take it to the next level and learn about doing it really well. Like, did you know that boxes should be flattened? Or that the plastic bag that lines the cereal box should be removed (and can be recycled with your grocery bags at the supermarket!)? Recycling items like glass jars, aluminum cans and water bottles seem obvious by now, we've been doing it for years. But there are some items that are in that fuzzy grey area...which bin does it go into?? Fast food straws? They're for the landfill (darn!). 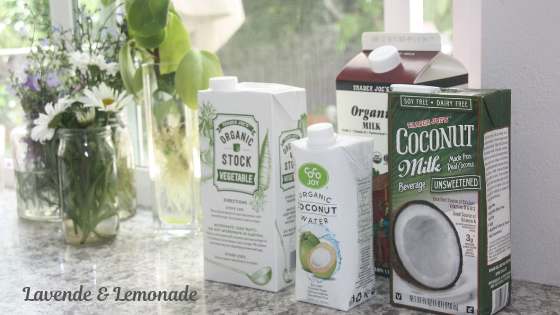 The carton holding your latest coconut water or soy milk? Recycle it! Carton recycling is now available to more than 62% of U.S. households in over 13,500 communities, and its coming to more places every day. Use the zip code finder to check if carton recycling is available in your area recyclecartons.com, or check with your local program. 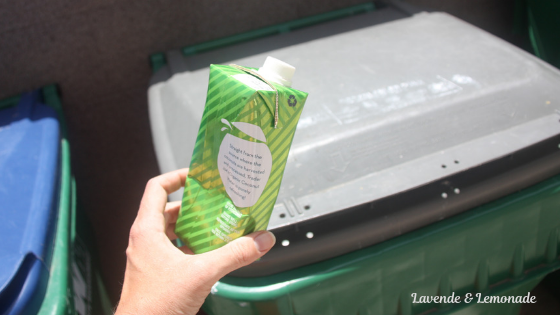 Every time we recycle our cartons, we're taking one important step to reduce landfill waste in our world! 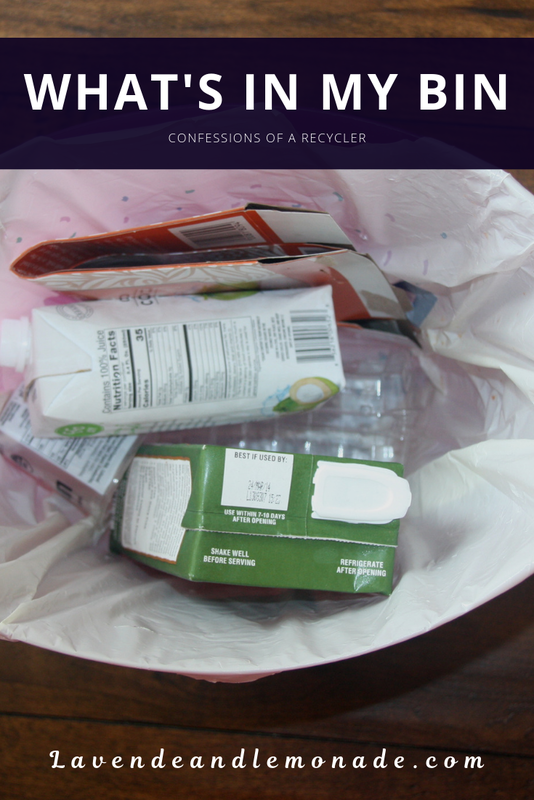 Recycling cartons is simple, just place the empties into the recycling bin! There's no need rinse, as long as it is empty, and it is okay to keep caps on - my recycler actually prefers them that way. And you can keep them uncrushed... they are actually recycled more efficiently when left in their original shape. Cartons for food and beverages are made mostly from paper, with a thin layer of plastic and sometimes aluminum. We're seeing more and more of them in stores because they have so many perks! They're lightweight, we don't have to worry about them breaking like glass, and they have a low carbon footprint. They're actually super efficient because on average a product with them is 93% what you want and only 7% packaging. I've noticed that I'm buying more and more soup, milk, creamer and juice in cartons, and have even noticed beans, tomatoes and wine! There are actually two types of cartons! Aseptic (also called shelf-stable) are 74% paper, 22% plastic and 4% aluminum, and are used for soups, water, milk, juice, beans, wine and nutritional shakes. Gable-top (also called refrigerated) have about 80% paper and 20% plastic and are found in the chilled section of the grocery store, used to package milk, juice, cream and other beverages. The paper, aluminum and plastic recovered from recycled cartons allow them to become new products like napkins, tissue paper, and even environmentally friendly building materials. That's a weight off the planet, and every little bit we can do counts. Using recycled fibers instead of brand new fibers to make a Ton of paper saves 7,000 gallons of water, protects 17-31 trees, uses 4,000 KWh less electricity, and prevents 60 pounds of air pollutants. Recycling paper is worth it! Each day, the average American generates more than 4 pounds of trash. Yikes! How do you stack up? Nationally, that adds up to more than 200 million tons of garbage each year – enough to fill the Cardinals’ Busch Stadium from top to bottom...twice a day. Every piece makes a difference. Even though we could recycle about 75% of our trash, most of it just ends up in the landfill instead of getting a new life. The US has over 3,000 landfills, whose contents are busy releasing harmful methane gas that speeds up global warming. We can reduce that! So this November 15, America Recycles Day, take a moment to think through your recycling plan and RECYCLE WITH US! 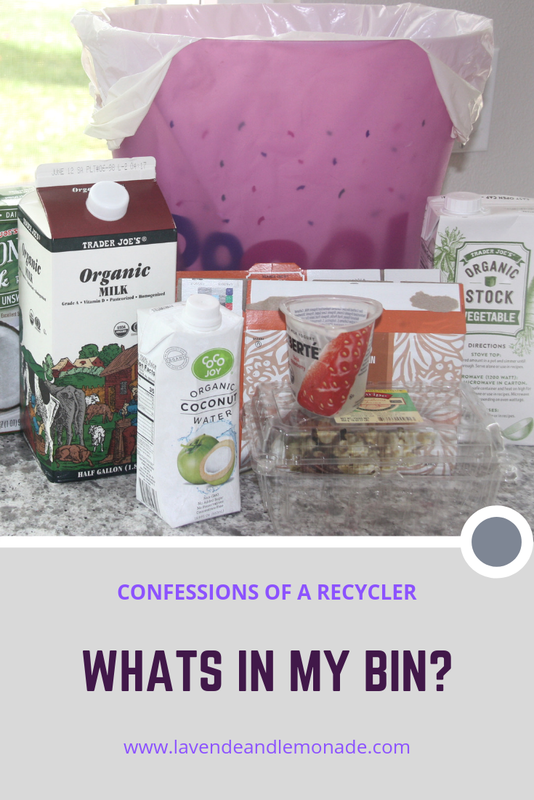 Learn how your community recycles cartons and make it your new habit! This article is thanks to support from the Carton Council of North America. Formed in 2009, it is composed of four leading carton manufacturers: Elopak, SIG Combibloc, Evergreen Packaging and Tetra Pak. Through a united effort, the Carton Council is committed to increasing the recycling of food and beverage cartons in the U.S. Such posts should be published more often! I really like such posts.